Fleets become Rolling Strong customers by paying a monthly fee per subscriber (driver), typically as a feature of their on-board fleet management system. Drivers enroll in the program by setting up individual profiles, including their baseline health metrics, fitness interests, nutrition/restaurant preferences and other information. Rolling Strong Coaches assist fleets and drivers with the initial deployment followed by several optional levels of on-going support, including peer-to-peer competitions, effort/results-based incentive program oversight, special events, online coaching, help desk and more. Rolling Strong’s eco-system of partners, including health clinics, fitness centers, restaurants, truck stops and more interact with drivers in a two-way relationship. For example, based on a driver’s caloric burn for a given timeframe, suggestions may be provided proactively. Drivers can make on-demand inquiries regarding fitness and nutrition alternatives while on the road or plan their trips in advance. 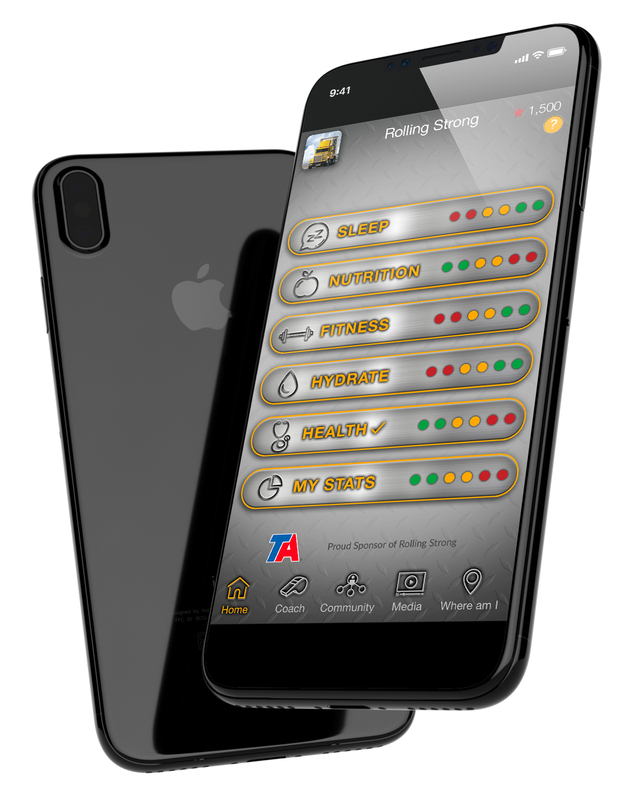 Rolling Strong’s integration with the fleet management system allows for guidance and coaching to be based on not only the driver’s profile, but also duty status and GPS location. Rolling Strong accessories allow the driver to exercise in and around the truck at any time.